It’s okay to crave something sweet every now and then, especially if you know what sweet things can diabetics eat without compromising their health! Truth be told, it is almost impossible not to have a sweet tooth, even if it’s just a sporadic thing. But, what sweet things can diabetics eat without spiking their glucose levels through the roof and putting their health in jeopardy? Research has shown that while eating too many sweets will indeed cause a change in your sugar levels, it is unlikely that by itself it would lead or cause diabetes. This is because, carbohydrates are the ones responsible for rising your glucose levels and impact the way you feel and the way you manage the disease. That is why, moderation and portion control are key instruments to use, especially if you want to enjoy some of the best desserts for diabetics. Thankfully, many diabetic experts, dietitians and nutritionists agree that, as long as you know what to eat (making wiser choices) and how to measure your glucose levels, before and after your meals, you can still enjoy a small dessert every now and then. Whether you are searching for diabetic chocolate desserts – because, let’s face it, who does not like chocolate? – or you are wondering in a more general sense what sweet things can diabetics eat and still be okay, the trick is to pay close attention to the core ingredients and the nutritional value. It is important to understand and be able to recognize the different types of sugars present in the foods you are about to ingest, and be informed about whether or not those foods contain “added sugar” components such as high-fructose corn syrup, malt syrup, white granulated sugar, etc. For example, a peach will contain natural sugars as part of its components, while a small amount of peach-preserve or canned peaches will contain high-fructose corn syrup in addition to the natural occurring sugar. This is what you should avoid at all costs. While many may think that figuring out what sweet things can diabetics eat is a hard or complicated task, but truth is, as long as you are able to measure your glucose levels and have a clear idea of what components are in your meals, you will soon get the hang of it without having to miss out of everything you like. Broiled Pineapple with Frozen Yogurt: simply add a dash of cinnamon to your pineapple rounds toss them in the grill for a quick broil. Top it with a scoop of your favorite vanilla frozen yogurt and that’s it! Mixed Berries with Maple Cream: whip up a spoonful of fat-free sour cream and mix it with 1 tbsp. of maple syrup, and add it to your favorite berries of the season for a quick and refreshing sweet treat. Frozen Fruit Pops: blend your favorite fruit with fat-free and/or low-sugar yogurt and freeze it until it becomes a creamy homemade icicle without the hassle of the worry. 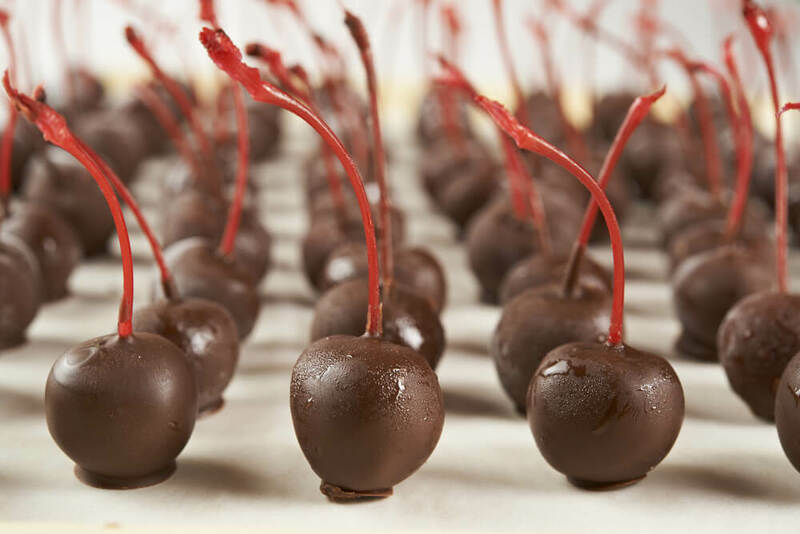 Dark Chocolate-Dipped Cherries: for those that prefer diabetic chocolate desserts, these are super easy, and ultra-delicious. Simply dip juicy cherries into your favorite melted dark chocolate, and let it cool in the fridge for 15-20 minutes, and enjoy! The best part is that you can use just about any other fruit for this recipe. As always, choosing what sweet things can diabetics eat will depend on the components of the recipe and whether or not any of the ingredients have added sugar or are high in carbohydrate contents. Practicing portion control and sticking to the serving size portions are also great ways to enjoy a little bit of something sweet now and then without jeopardizing your treatment.